3 volumes: +472 pages; +446 pages; +518 pages all with diagrams, tables and bibliography. 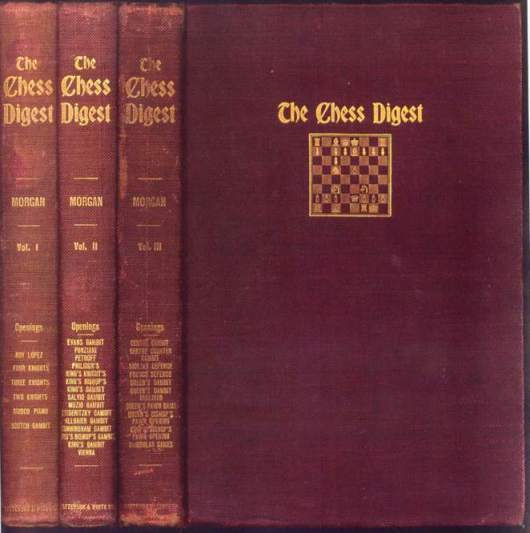 Quarto (11" x 7 3/4") issued in red cloth with gilt lettering to spine and gilt lettering to cover with pictorial chess board. 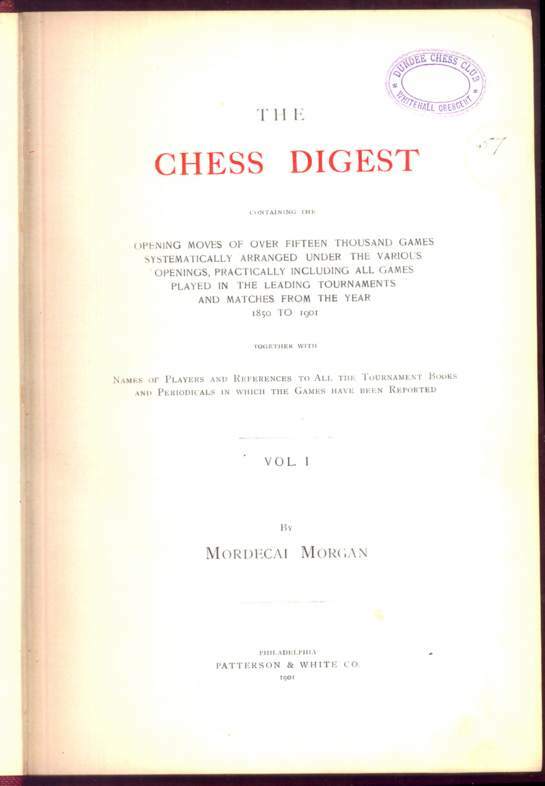 (Betts: 49-51) First edition. Corners bumped, extremities rubbed. 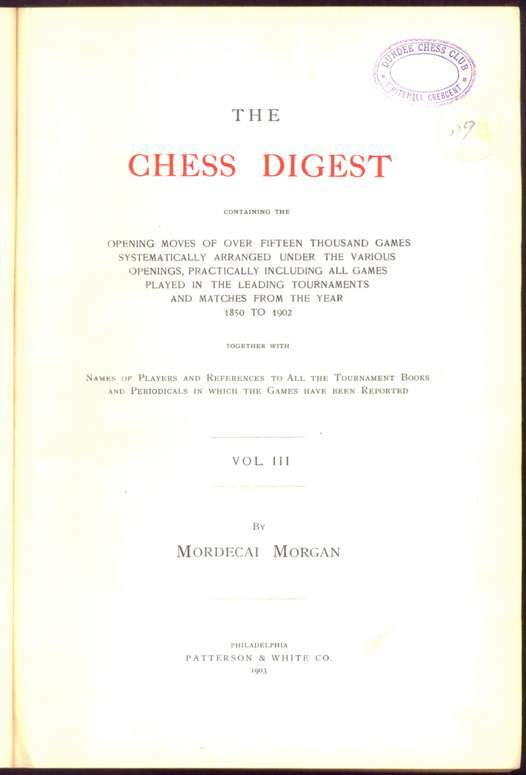 Dundee Chess Club Stamp on title, volume two and three front inner hinge beginning, slightly shaken else about a very good copy of a scare item.